Gameweek 6 of the SPL kicks off on Friday with the remainder of the division playing on Saturday. Aberdeen’s 0-0 draw with an inspired Hearts side, coupled with Celtic’s emphatic 4-1 away win over Hamilton last week saw the Bhoys leapfrog the north east club into first place on the SPL standings. This week will see Rangers open things up away to Partick Thistle on Friday evening before the remainder of the division all play on Saturday. We went four out of six last week after being let down by Aberdeen and Ross County – let’s see if we can go one better this time around! Partick Thistle were within a hair’s breadth of their first SPL win of the season thanks to a smartly taken chance by Blair Spittal. They would be forced to settle for a point, however, Alex Schalk won and converted an 86th minute penalty. They face a much sterner test this Friday when they welcome Glaswegian giants, Rangers to Dingwall. Rangers were full value for their 4-1 win over Dundee at the Ibrox over the weekend. Alfredo Morelos scored his second successive double as the home team turned on the style with two cheeky back-heels opening up the Dundee defence. Encouraging signs at last for the Ibrox faithful who have been subjected to some pretty dire stuff this season. Back Rangers here with confidence – 11/20 is a great price! Aberdeen have the magnificent Joe Lewis to thank for their 0-0 draw against Hearts at Murrayfield on Saturday afternoon. Lewis pulled off a string of world-class saves to keep his side in the match as the hosts – who seemed galvanised by their new temporary home – bashed at the door. We’re likely to see a better performance from the Dons this weekend as they return to Pittodrie to face Kilmarnock. Kilmarnock were condemned to their fourth defeat in five games as Motherwell claimed a 2-0 win at Fir Park. The last thing that Lee McCulloch needs now is a trip to Aberdeen. I’ll keep this segment of the preview fairly short: back Aberdeen to get back to winning ways – emphatically so. Get on the (-1) Handicap at 17/20. Michael O’Halloran bagged his fifth goal of the season as Hibs managed a commendable 1-1 draw against St. Johnstone at McDiarmid Park last weekend. Unfortunately for Neil Lennon’s men, a 61st minute own goal from Paul Paton after he turned in Anthony Stokes’ excellent low cross into his own net. Motherwell are up to fifth following their straight-forward 2-0 home win over Kilmarnock. The win sees the Steelmen continue their march up the standings after a shaky start to their season. Steve Robinson will be quietly confident heading into this match – especially looking at both teams’ post international break form. Take Motherwell on the Double Chance here at 12/10. Dundee remain at the foot of the table following their 4-1 hammering at the Ibrox on the weekend. They return home this weekend and things don’t get any easier, as St. Johnstone come to visit. Dee looked a shambles defensively against Rangers last Saturday and were routinely opened up in Glasgow by a rampant Rangers side. The Steelmen would have been disappointed to have dropped points against Hibs but will be confident of getting back to winning ways at Dundee. Michael O’Halloran has been brilliant and tops this season’s SPL goal scoring charts along with Celtic’s Alfredo Morelos. He’ll look to return to scoring ways and is likely to do just that against one of the division’s strugglers. 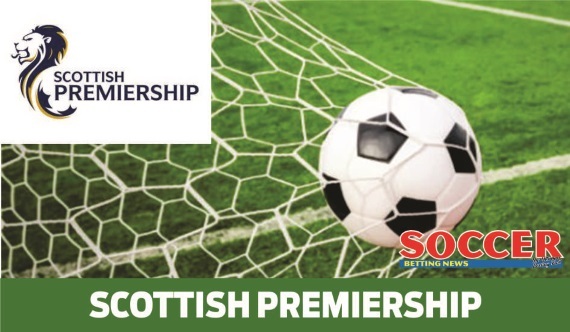 St. Johnstone to win – 13/10 is a dream price, don’t miss out! Celtic put in a rip-roaring display as they blew Hamilton out of the water at Superseal Stadium. Scott Sinclair grabbed a brace as Stuart Armstrong and Odsonne Edoard each found the back of the net. The Frenchman – on loan from PSG – was particularly impressive with his pace and power evident in his own goal as well as Sinclair’s first. They will be supremely confident heading into their fixture against Ross County. Ross County are now winless in their last five matches in all competitions following their 1-1 draw at home against Partick Thistle. Jim McIntyre would have been bitterly disappointed in the result and the way they conceded (a penalty) in the 86th minute. I don’t see County being any match for Celtic this weekend. Back the hosts to Win To Nil at 7/10. Hamilton will be looking for a spot of redemption following their 4-1 spanking at the hands of Celtic last week. They’ve actually started the season relatively well and find themselves in seventh place with two wins, a draw and a couple of defeats after five games. They’ll face another stern test this weekend against a Hearts side who come into this fresh off of holding Aberdeen to a 0-0 draw. Hearts were desperately unlucky not to have come away with three points from their first game at Murrayfield against Aberdeen. They battered the Dons for 90 minutes but couldn’t find a way past the inspired Joe Lewis who pulled off a slew of David de Gea-esque saves. Hearts will take plenty confidence from that performance against Aberdeen, back them here at even money against significantly weaker opposition.